John B. Chrispens DDS & Associates is home to the most advanced, experienced dental care in the Orange County area. 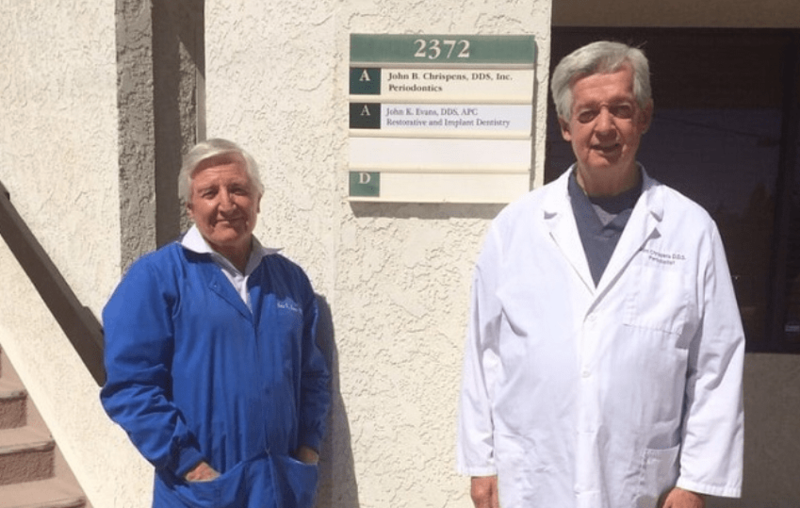 John B Chrispens have dental degree at Loma Linda University, Dr. Chrispens continued his post-doctoral work to earn a certificate in periodontics from Eastman Dental Center and an additional residency in airway/sleep dentistry. He has also served on the faculty at the University of Southern California in Los Angeles and in the US Navy Dental Corps before shifting to private periodontal practice in 1981. Get a free consultation with John B Chrispens DDS. We have done many dental implant procedure with 90% success rate. We have different types of brand as per customer demand. We accept credit card, debit card, Insurance and Financing. We recommend seeing you for continuing care appointments at least every three months (minimum) to reduce the risk of peri-implantitis or implant failure. Have a question or inquiry? Click the green button to get in touch with John B Chrispens DDS.